On the question of reaction of the Congress Party on the statement of Smt. Smriti Irani on data leaks, Shri Singhvi said anybody can say that we are transferring data to the moon. I am not supposed to reply to that. I am giving you fact after fact and figure after figure in published reports. We have been in Government in 2014. Never before in ten years, it is only four years, you have been there – have you found allegation so thick and fast. Courts, NGOs, Public spirited citizens, average citizens and Government servants, if something is wrong the answer is not that the I&B Minister without data says that you are also doing it. What is the point of pointing figure? You are in power, do something about it. 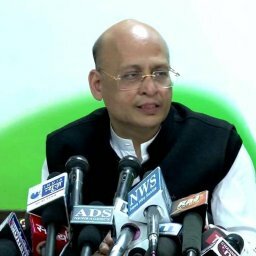 On the reaction of the Congress Party on the statement of Shri Anderson of Australia on NamoApp, Shri Singhvi said I will be very happy the Congress approach to life and philosophy is if you point out a constructive criticism, we will remedy it,. The BJP approach is that shoot the messenger. That is the difference. I am not here to answer hypothetical question, when your mythical Mr. Aliet points out a Singapore transfer, we will deal with it. 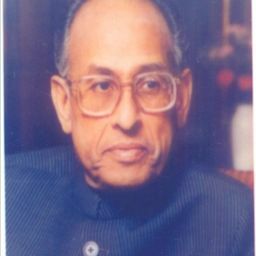 To a further question whether the Congress Party is warning the school children and military cadets, Shri Singhvi said we are entitled to voice our concern that with so many data leaks going on, how can the Prime Minster of the country and his word virtually has a mandatory effect, tell children of an impressionable age to share data on an app which has 22 reference points. Now you can always. I have not said it. Your public domain newspaper has said it that you have a weird app which has 22 reference points. And the Prime Minister is telling people to disclose data. Now you can always say it is not compulsory but you understand the compulsion inherited in it. You understand the compulsion inherited by the NCC cadet. 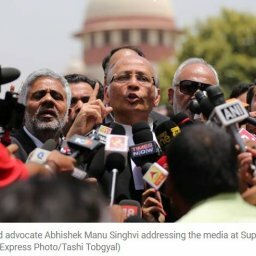 On the question of Cobra Post coming out with an expose, Shri Singhvi said first of all I do not know details. I think if there is merit after checking up, it would deserve introspection first and foremost by some channels, I would not name those channel, some channels would require introspecting and fourth, I think we know the direct manners and the indirect manners, bribe is too direct. So many ways in which the overwhelming part of very-very large section of the Press have been compromised. This is seriously a matter of intersection, be it Congress Party, be it the BJP, and be it any Party. You are a fourth pillar. And your pillar being compromised in the way it has been in 2015, 2016, 2017 and 2018. In my life as a citizen or political person, I have not seen the degree, I have no hesitation in saying that. On the ‘No Confidence Motion’ to be raised by Shri Mallikarjun Kharge tomorrow, Shri Singhvi said the parties which may not agree with each other across the country today have a very strong feeling about the various malpractice of this Government. This Government in a short while has started a climate of fear of oppression, of mis-governance, of threat, of vendetta and you are finding a natural conversions, it is not that anybody is making much of an effort. Today not only one from INC, there are three or four ‘No Confidence Motions’ pending tomorrow. I do not name the parties. There may be many more. Now nobody has gone from collecting ‘No Confidences’. TDP never asked the Congress Party nor has the Congress Party asked TDP. I have given an example only. So this must have something to do with the kind of mal-governance you are having in this country. There is a spontaneous way of action by the people, by the parties which has diverse and may be warring at that state level and I find no contradiction in that State level Vs. Central level coordination.